Unfortunately the forum does not allow posting of images into the threads, but you can upload the image to the web and post a link here that we could check out. Also, I think you would likely have more luck joining the Turkish Studies listserv at http://www.h-net.org/~turk/ and posting a message to the community there, as it is predominantly scholars of Turkish Studies, grad students, and professors. 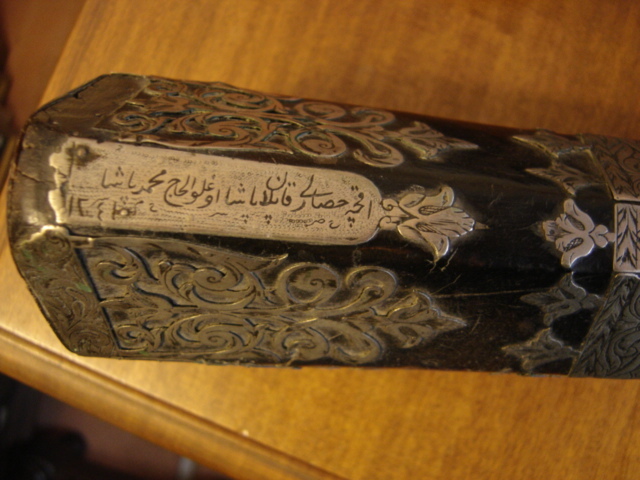 here attached the link with Osmanli/Ottoman Script. about the style of script will be very appreciated. Hi everybody, i have an oldtext and i think this is osmanli, but i'm no sure, van you help me to recognize the language and the symbols. http://i44.tinypic.com/2q8yoso.jpg This is a part of the text. I try with Urdu, with arabian. But i can't transslate it to this moment. This text is to be mirrored horizontally. ... But I could'nt decipher it at all. Could be Arabic?